Is it too soon to think of the weekend yet? Arts Council Marketing Director Jennifer Gelband offers her top five arts picks for this week, going into next. These come from our member organizations and are also featured in The Arts Council's weekly newsletter. To subscribe to that, click here. Light on the Horizon Art Show, April 4, 6:30-9 p.m., Klekolo Coffee, Middletown. It is Autism Awareness Month, and this art show features the art of two artists on the Autism Spectrum trying to reach independence. Jacob Cohen will present his digital illustration and Morgan Morenz her drawing. The two artists will exhibit work that reflect their paths toward the quest of independence in a challenging world. The art will be displayed for the month of April. The event is free but all all sales will go toward each artist's independent living. For more information, contact ryan@clearweavejobs.com, call 860.218.5355 or click here. JCC's 3rd Annual Beckerman Jewish Film Series, April 5-May 8. A series of Jewish and Israeli films featuring documentary, narrative, historical, and human interest content. They begin with Norman: The Rise and Fall of a New York Fixer (2017) on Thursday April 5, 6:30 p.m. at Yale's Luce Hall. Norman tells the story of Norman Oppenheimer, a small time operator who befriends a young politician at a low point in his life. Norman’s life dramatically changes for better and worse. Talkback with Dr. Shiri Goren, Hebrew program director. Free and open to the public. The Number on Great Grandpa's Arm (2018), April 8, 9 a.m., Congregation Mishkan Israel, Hamden. A conversation between a boy and his great-grandfather, an Auschwitz survivor, is woven with historical footage and animation to tell a heartbreaking story of Jewish life in Eastern Europe. Parent/student event for children grades 6-8, followed by discussion. Free and open to the public. Big Sonia (2016), April 16, 7 p.m., Madison Art Cinemas. Heading Home: The Tale of Team Israel (2018), April 22, 2 p.m., JCC. The underdog journey of Israel’s national baseball team competing for the first time in the World Baseball Classic. Tickets: $10; $5 JCC members. Monkey Business: The Adventures of Curious George's Creators (2017), April 26, 7 p.m., Woodbridge Town Library. In 1940 Hans and Margret Rey fled Paris from the Nazis by riding makeshift bicycles—a manuscript of the first Curious George book as one of their few possessions. Free. An Act of Defiance (2017), April 29, 6:30 p.m., Temple Beth David, Cheshire. Ten political activists (including Nelson Mandela and his inner circle of Black and Jewish supporters) face a possible death sentence for conspiracy to commit sabotage after they are arrested by the apartheid South African government during a raid in the town of Rivonia, 1963. Free. Rabbi Wolff: A Gentleman Before God (2016), May 2, 6:30 p.m., New Haven Free Public Library, Ives Branch. William Wolff is nearly 90 and perhaps the most unconventional rabbi in the world. As the State Rabbi of North-East Germany but still living in England, he commutes from Heathrow to Germany each week. Free. Sammy Davis Jr.: I've Gotta Be Me (2018), May 6, 10:30 a.m., Madison Art Cinemas. The life and art of a uniquely gifted entertainer whose trajectory blazed across the major flashpoints of American society from the Depression through the 1980s. Tickets: $10. The 2017 box-office powerhouse, and largest grossing film ever by a female director, features Israeli bombshell Gal Gadot, in the title role. Tickets: $10. I’ve Got a Little Twist, April 6, 2 & 7:30 p.m., Nelson Hall, Cheshire. I’ve Got a Little Twist is where The Mikado meets The Music Man. Where the HMS Pinafore sets sail for Brigadoon. Where The Pirates of Penzance takes shore leave On the Town. 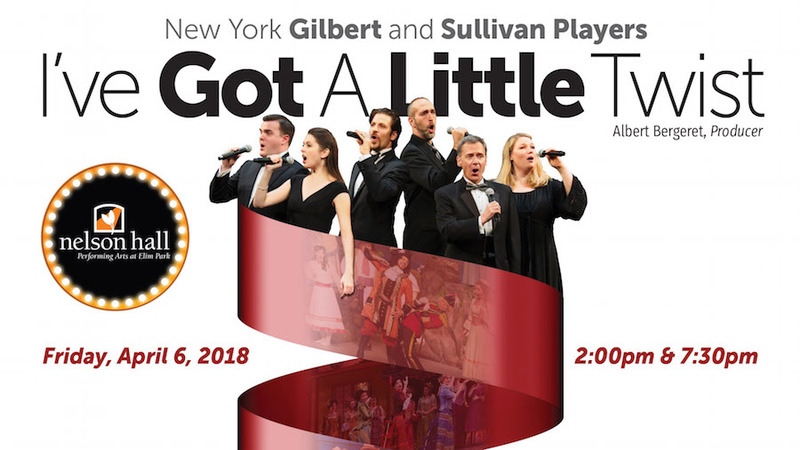 A one-of-a-kind show that proves the Gilbert & Sullivan repertoire is as fun, fresh, and full-of-life as—well—Three Little Maids from School! A Symphony of Steel, St. Luke's Steel Band in Concert, April 8, 4 p.m., Bethesda Lutheran Church. The Bethesda Music Series proudly presents the renowned and energetic St. Luke's Steel Band in concert. Admission and parking are free. 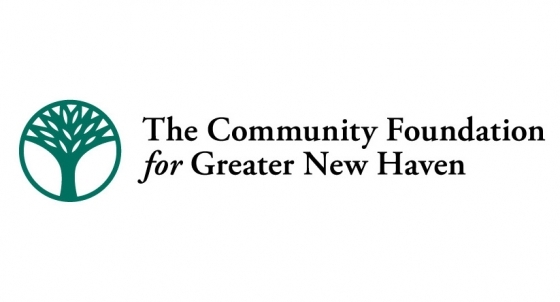 A freewill offering will be taken to support Integrated Refugee and Immigrant Services of New Haven. A reception will follow. For over 20 years, the Bethesda Music Series has presented concerts to raise funds for social outreach in Greater New Haven, supporting agencies such as Life Haven, Immanuel Baptist Shelter, Christian Community Action, Habitat for Humanity, area summer camps, and after-school tutoring. Free Faculty Concert, April 13, 7 p.m., Neighborhood Music School. The program features the NMS Faculty Ragtime Ensemble and sFOURando. The concert is free and open to the public.